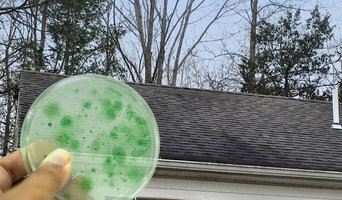 Soft wash uses special low-pressure water flow that is combined with a biodegradable chemical that removes the mold, mildew, algae, moss, and other stains from the areas you would like treated. It is safe, biodegradable and won’t harm plants or grass. Soft Washing is Smart! We are Restoration Experts in concrete, brick, wood decks, Brick Pavers, etc. 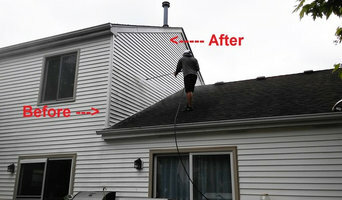 We also do professional window cleaning up to 6 stories and gutter cleaning. 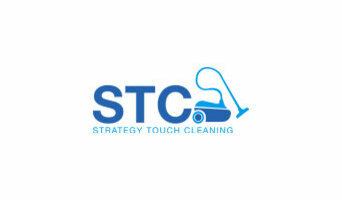 Strategy Touch Cleaning INC is top class cleaning services providing company in the United States. We are good at providing cleaning services all types of places in which hotel, hospital, offices, companies, factories and restaurants including. We are well-known cleaning services providing company in Broadway, Chicago IL. You can contact us anytime a day, 24/7. Fully insured softwash & pressure washing company that specializes in residential and commercial cleaning services for all types of surfaces. Our services cover cleaning everything on the exterior of homes and buildings to a height of 125ft elevations. Clean, sand, and seal a patio...no problem. Clean a large hotel or parking deck using swing staging....no problem! A B T is a family-owned and operated business based in Milwaukee, WI that was started in 2009. We service the Milwaukee Metropolitan area working from Franklin to Oconomowoc to Mequon. The business is run and staffed primarily by the Ortega and Cirillo family. Efrain Ortega is the leader of the business and has over 12 years of window washing and window repair experience. We take pride in any service we provide, going the extra mile to meet our customer's highest expectations. Power Clean is a full service power washing company with over 20 years of commercial, industrial and residential cleaning experience. Our cleaning method has proven to be reliable and efficient over time and through over one thousand satisfied business and residential customers. We utilize the latest technology to clean a variety of different types of customers that have included companies like Waste Management, Browning Ferris, Roadway Express, Transport America, Harris Bank, Lakewood Engineering, shopping malls such as Walmarts, Jewel Foods, Dominicks, Sam's Clubs and Menards. Our pressure washing system offers mobility, efficiency and safety. With the changes in the environmental laws, and the Clean Water Act, Power Clean has adopted an environmentally correct operating procedure which includes waste water containment and disposal when necessary. Our company theme revolves around quality, safety and customer satisfaction. This is reflected in the fact that Power Clean has serviced our 1000 customers successfully since 1987. After your DIY or professional deck-building project, don't forget power washing, sealing / staining, and waterproofing. Our wooden-deck cleaning and sealing / staining services will protect your deck, porch, or wood fence for years. Chicagoland Deck Cleaning & Sealing's cleaning/washing and sealing/staining services have been receiving awards and A-ratings for 10 years in a row since the rating services started. We clean, stain, and seal over 500 decks in the greater Chicago metro area each season. McMahon Home Services is a family owned, professional window washing, gutter cleaning and power washing company. We have been providing our services to homeowners and commercial businesses in the greater Chicago Suburban area for over thirty years.You can count on McMahon Home Services when quality really counts. 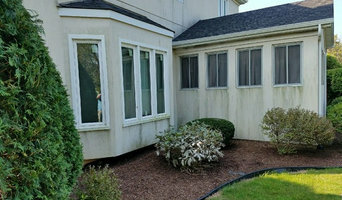 What do Lake Forest, IL exterior cleaners do? Find exterior cleaners in Lake Forest, IL on Houzz. Search the Professionals section for Lake Forest, IL exterior cleaners or browse photos of completed projects and look for the exterior maintenance professional’s contact information.